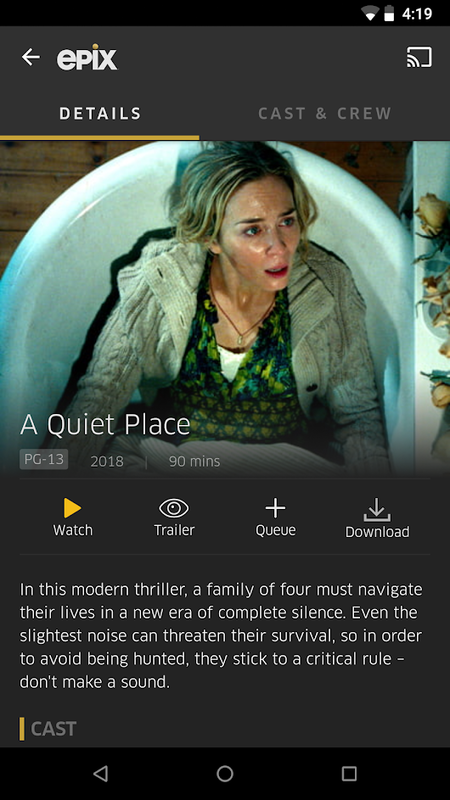 With the EPIX app you get instant access to exclusive Hollywood hit movies, original series, comedy specials, and original documentaries. 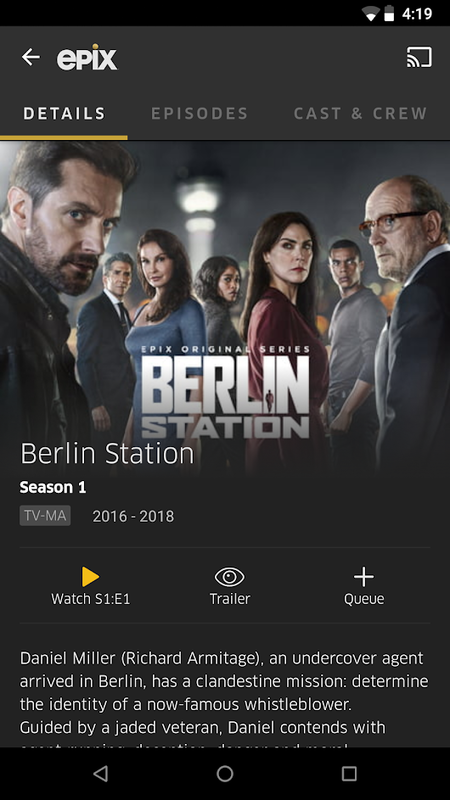 The app features 1000s titles on demand, also, you can browse your collections, use and advanced search tool or watch your content offline by downloading your favourites. 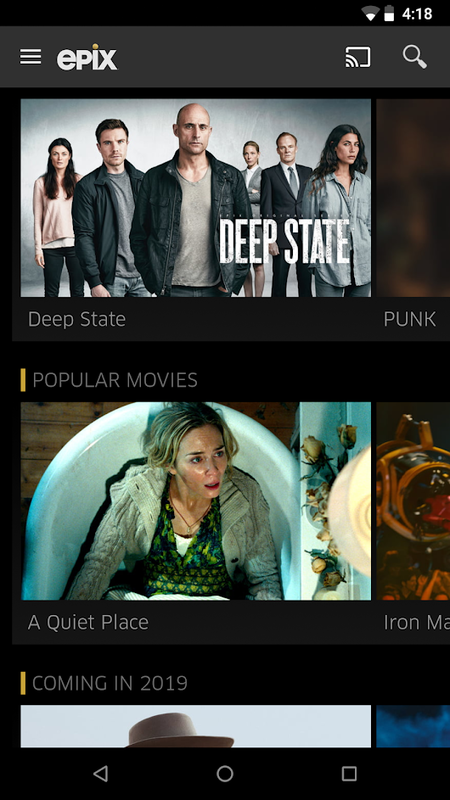 Don’t forget that you can cast the content from your Android device to your TV using Chromecast enabled feature. 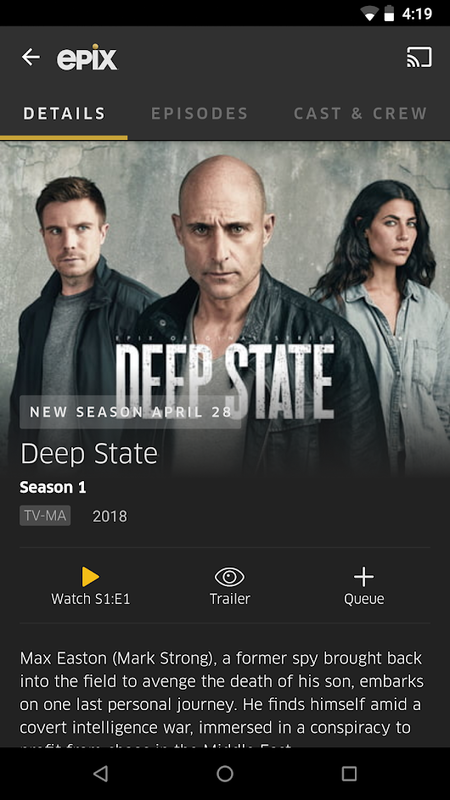 Note: To download the app is free, but you need to log in with your TV provider credentials to stream, download to watch offline or add to your queue to view later.